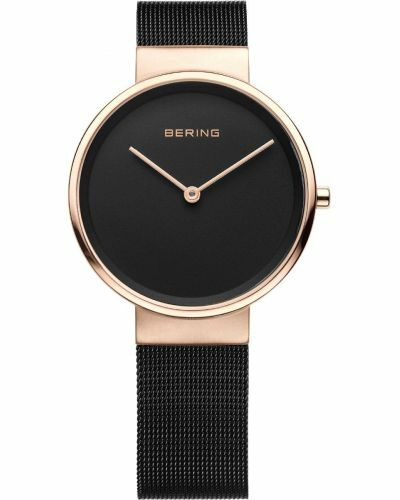 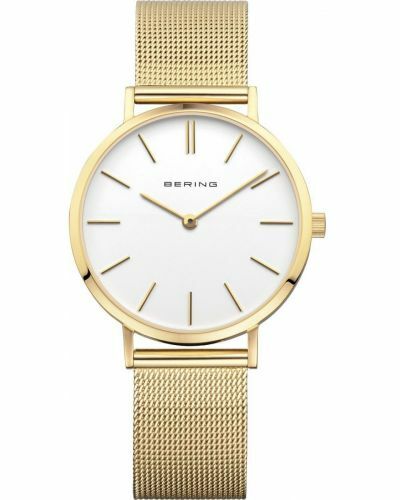 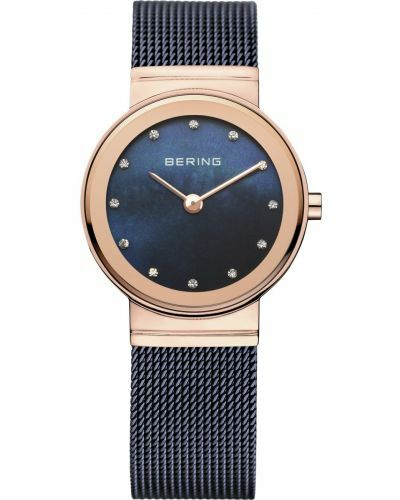 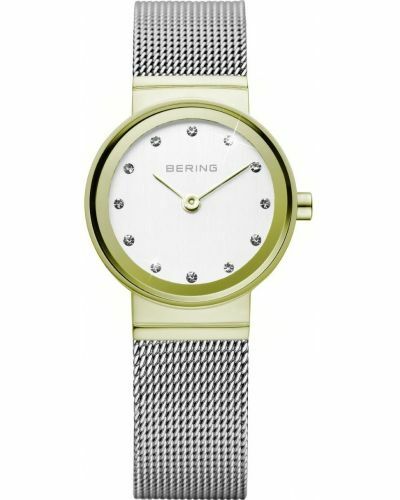 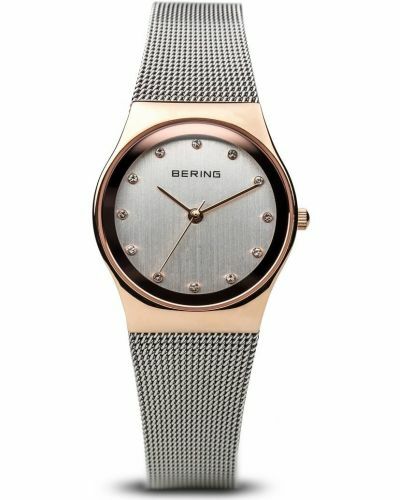 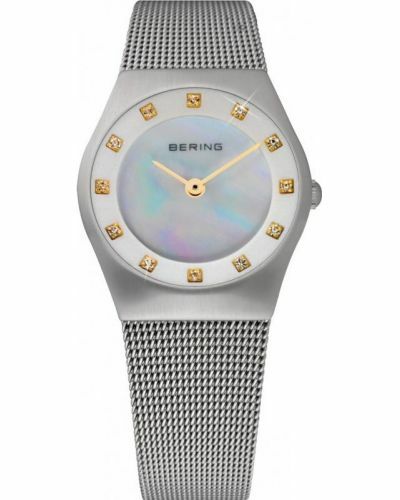 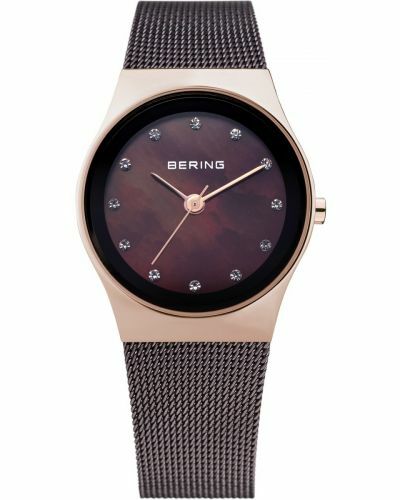 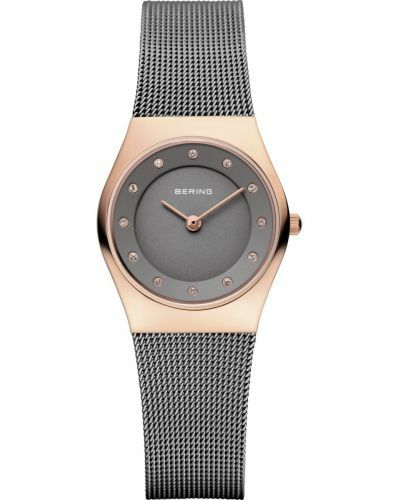 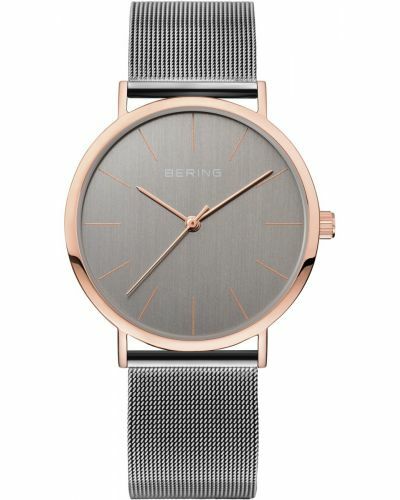 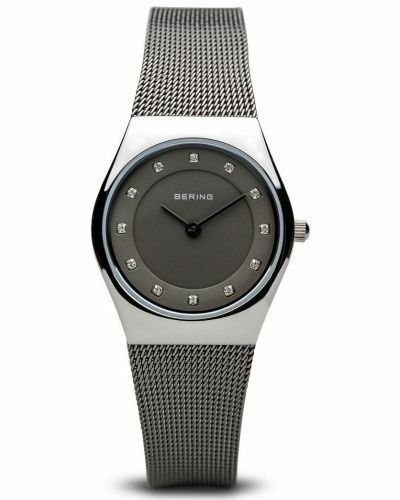 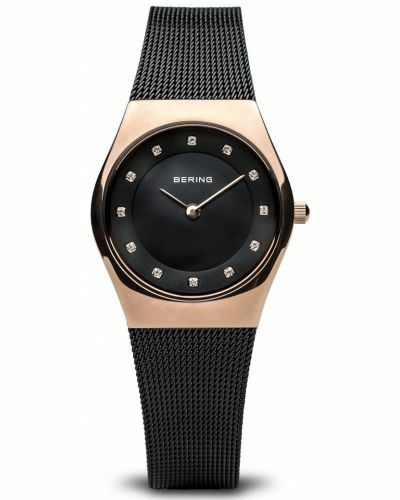 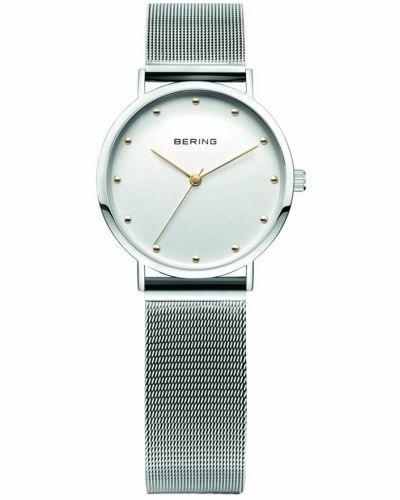 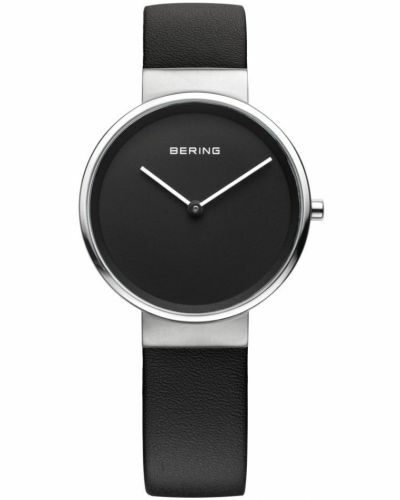 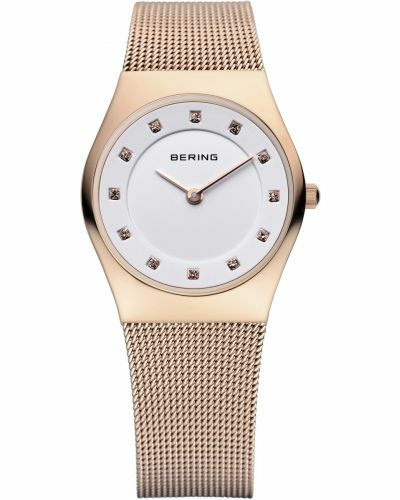 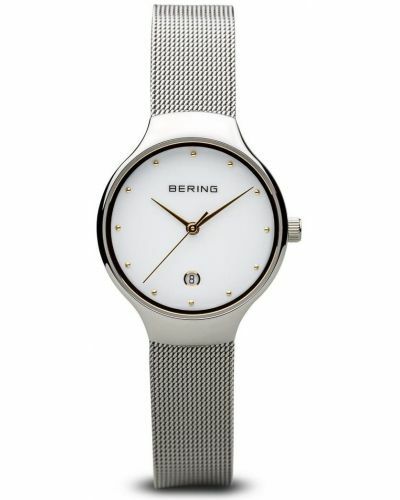 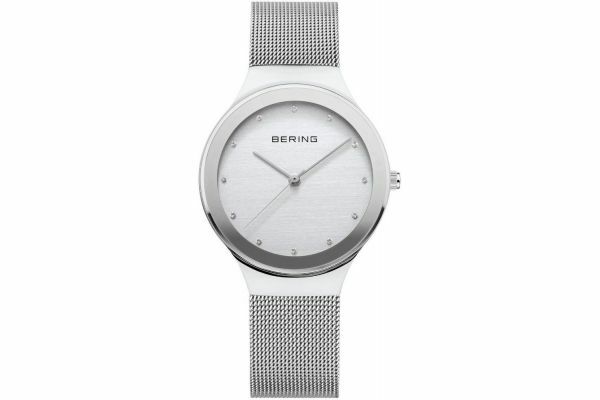 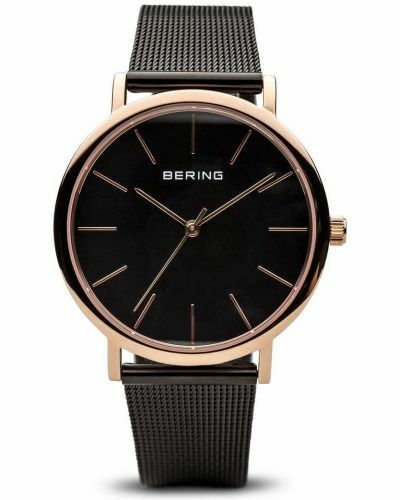 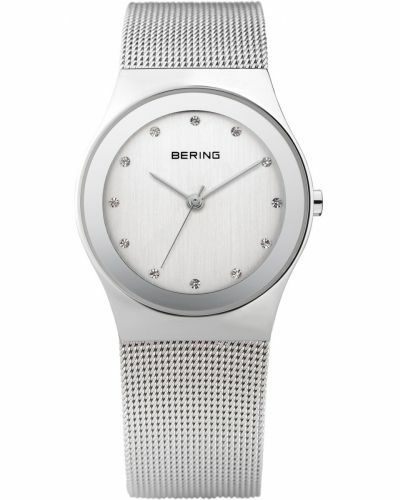 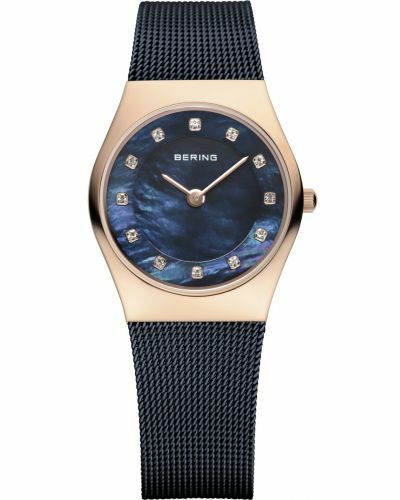 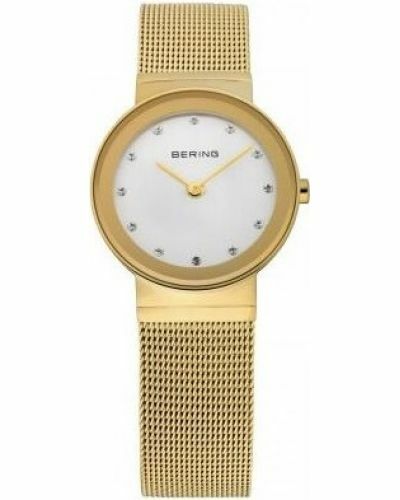 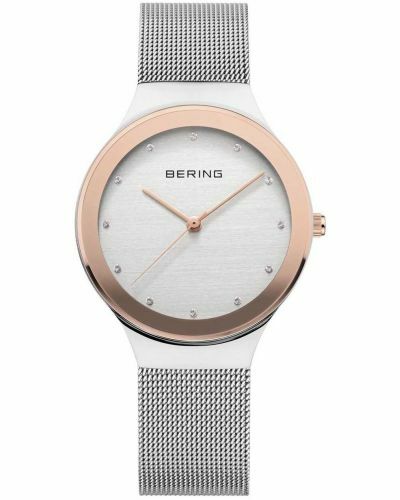 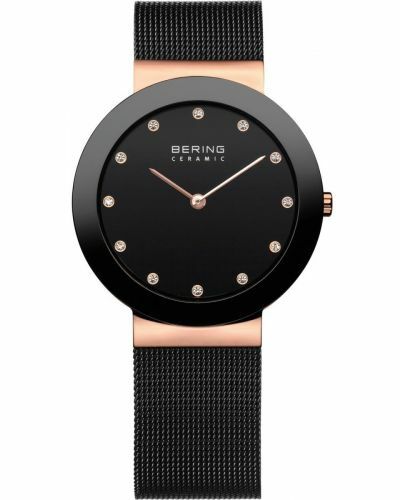 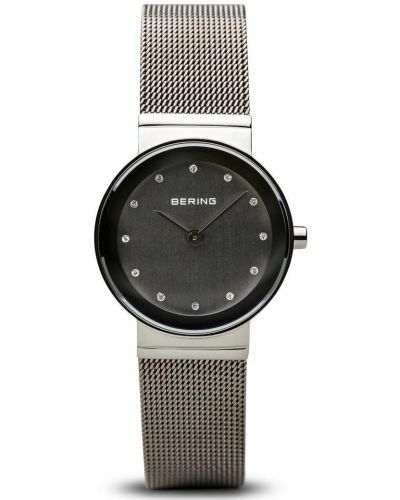 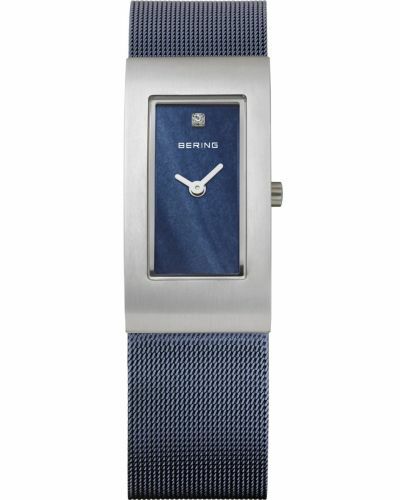 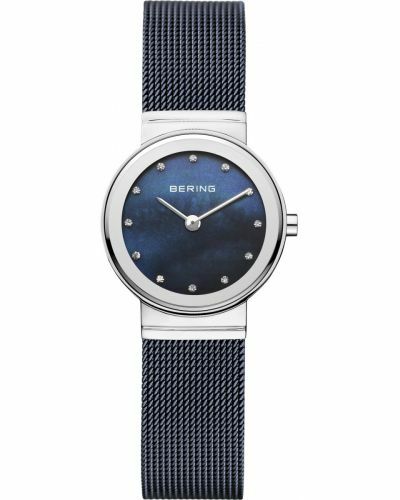 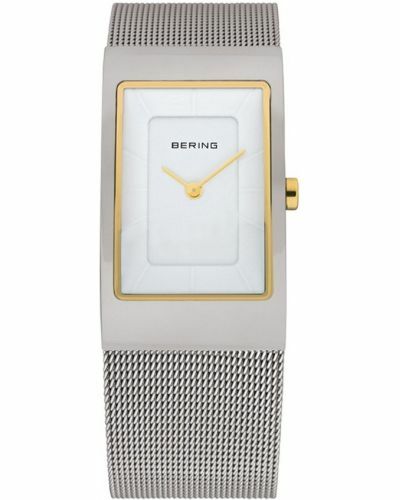 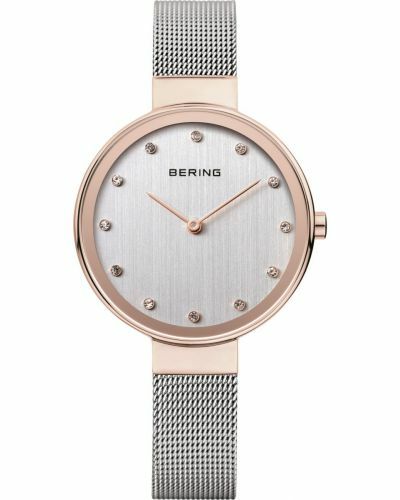 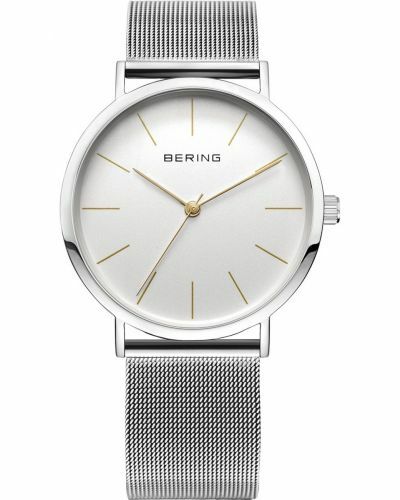 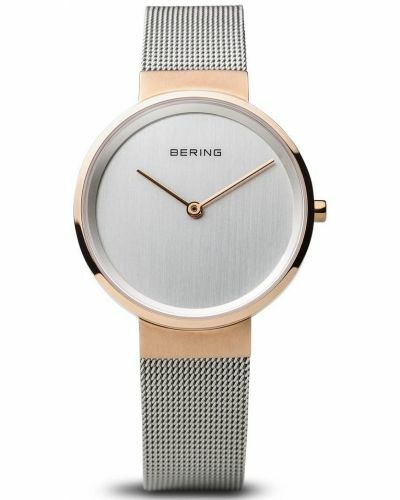 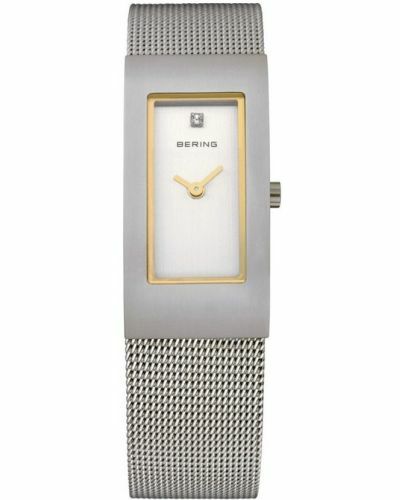 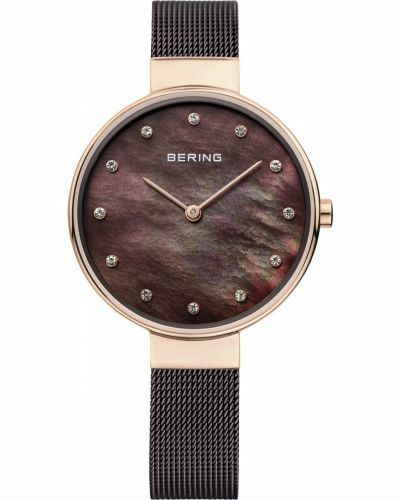 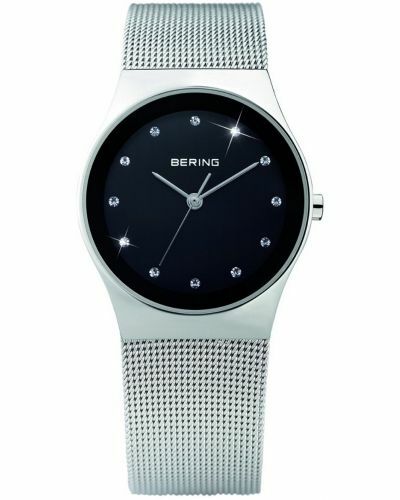 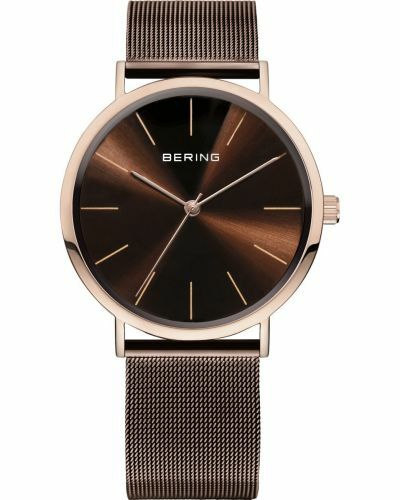 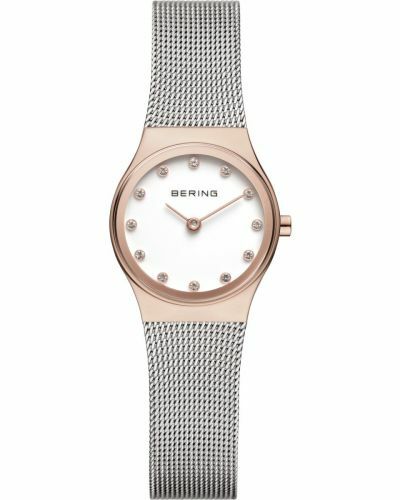 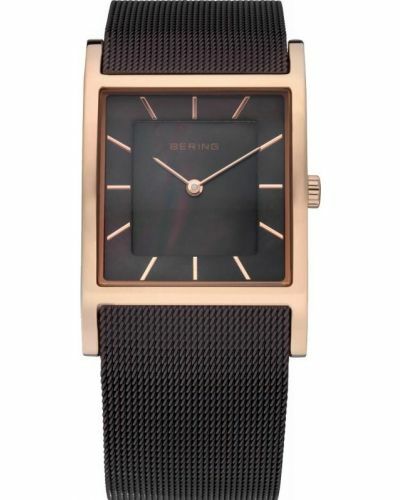 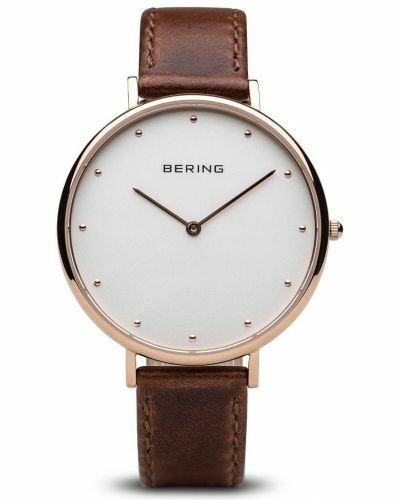 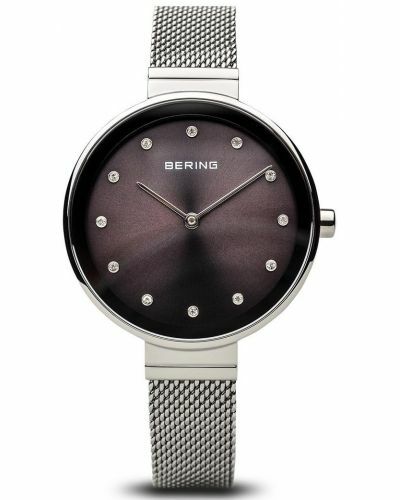 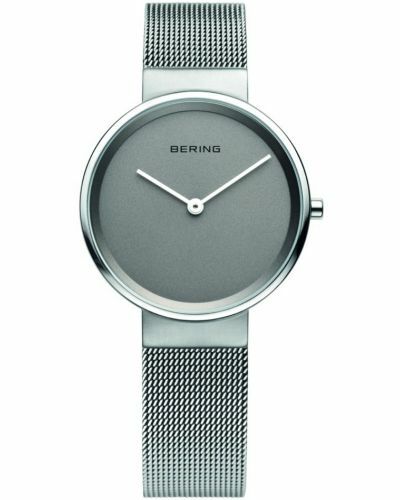 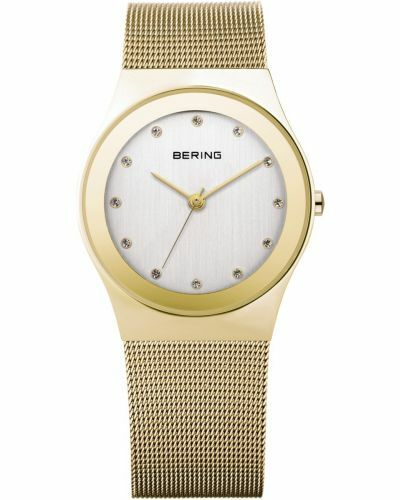 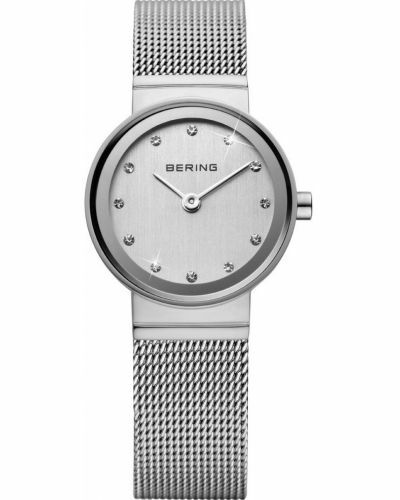 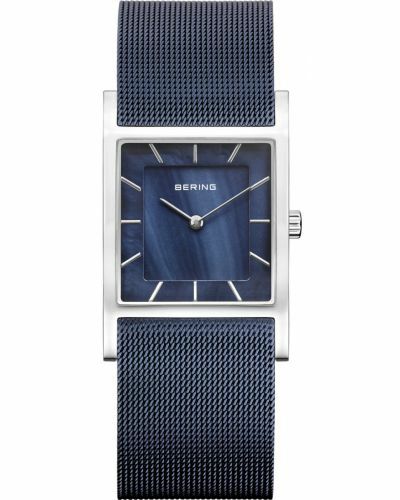 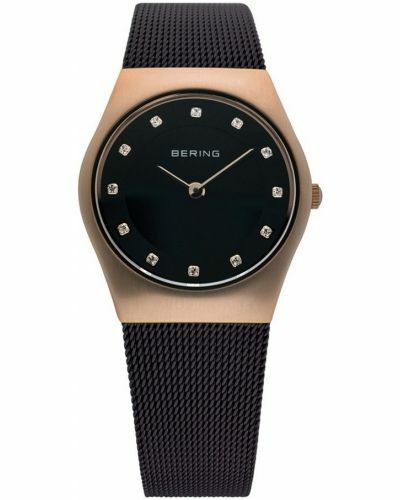 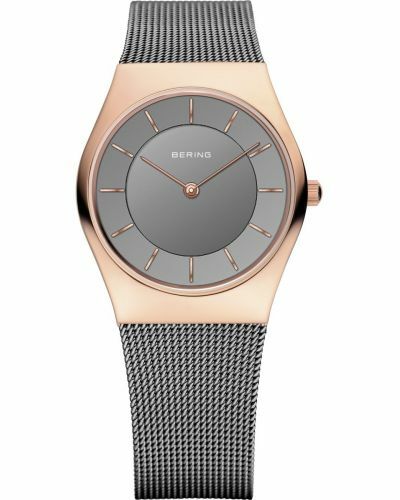 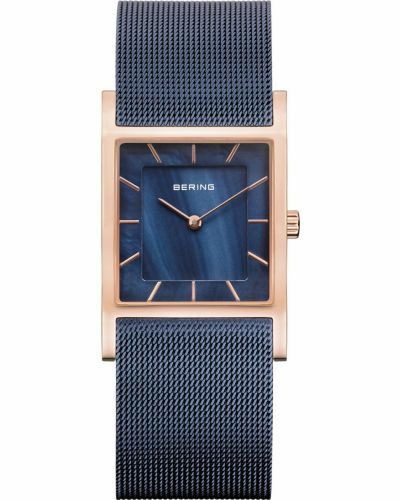 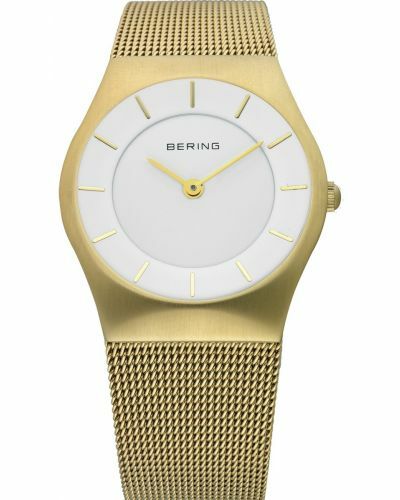 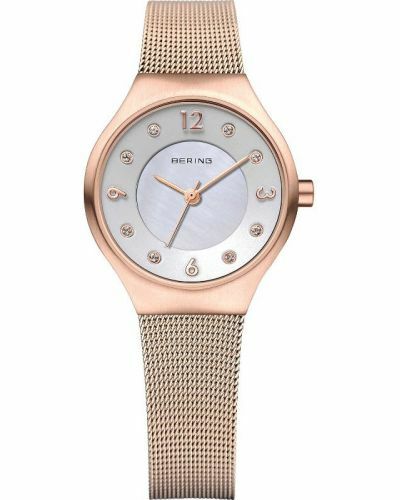 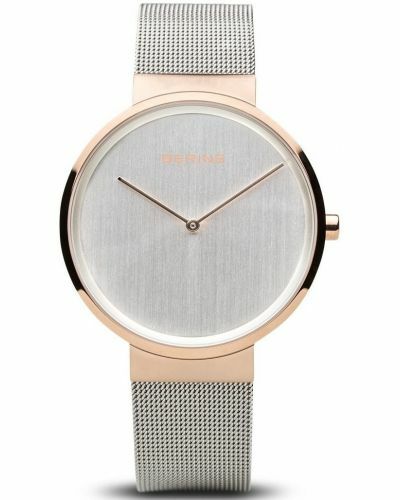 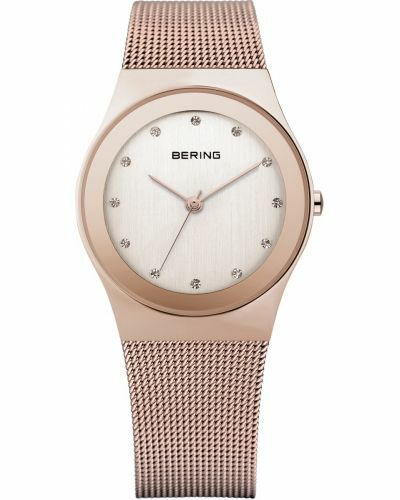 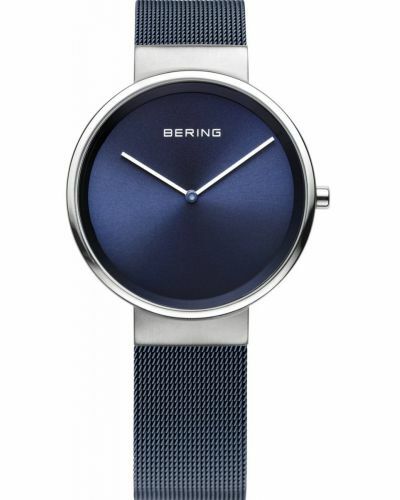 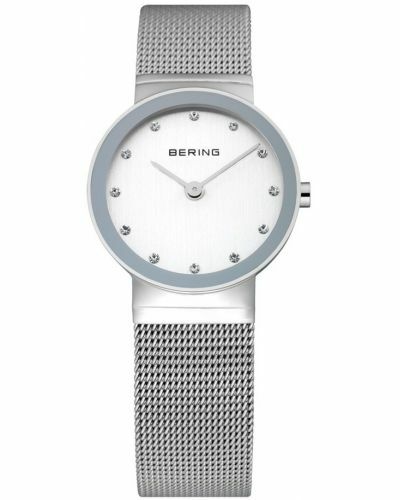 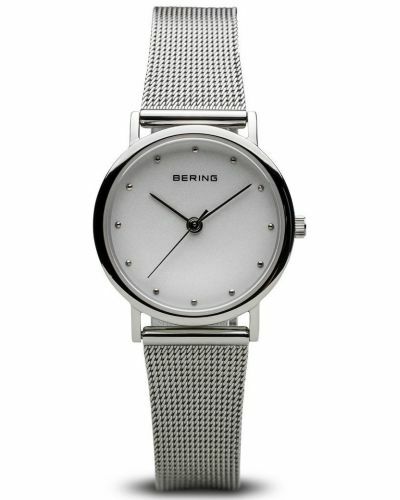 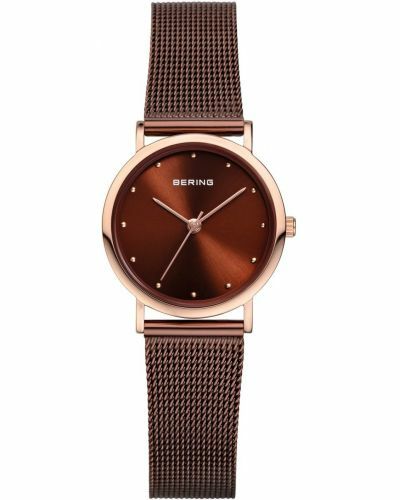 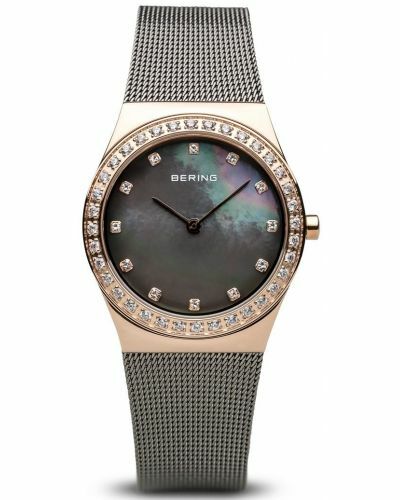 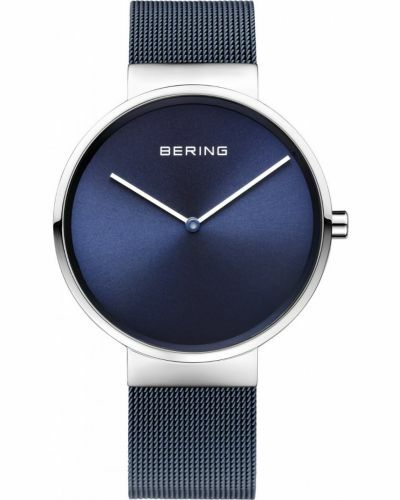 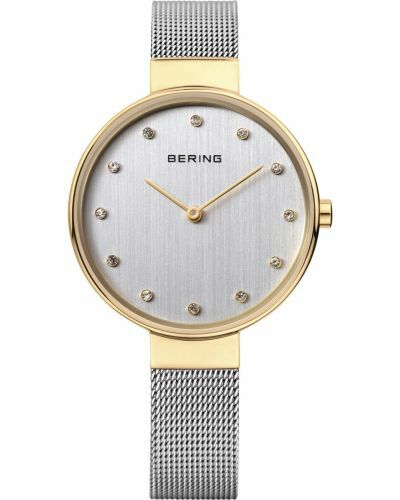 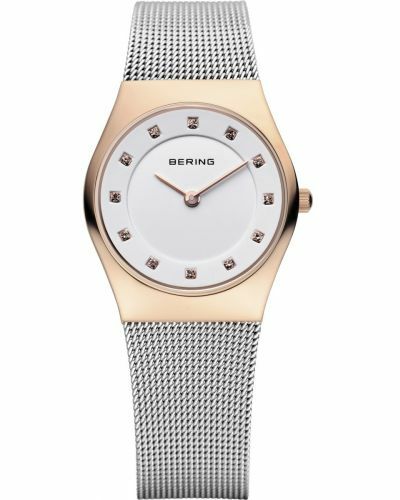 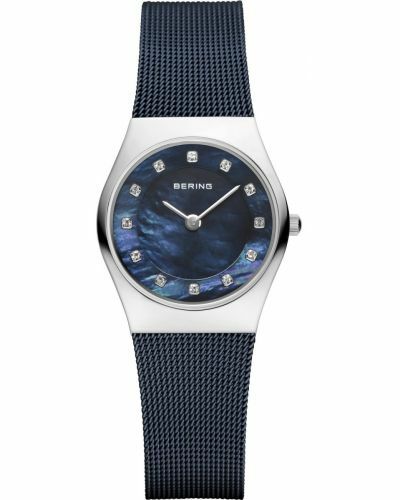 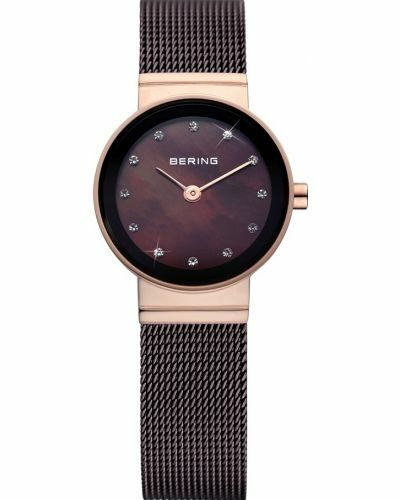 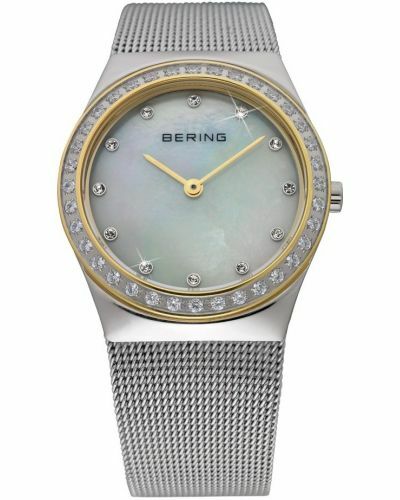 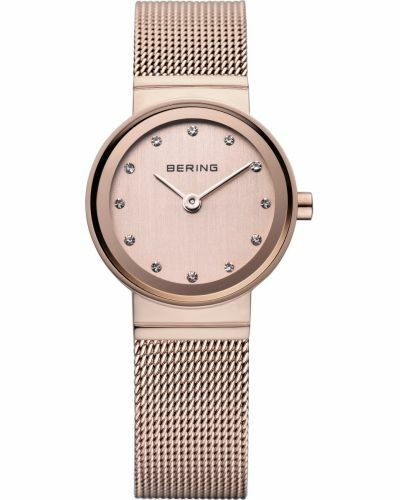 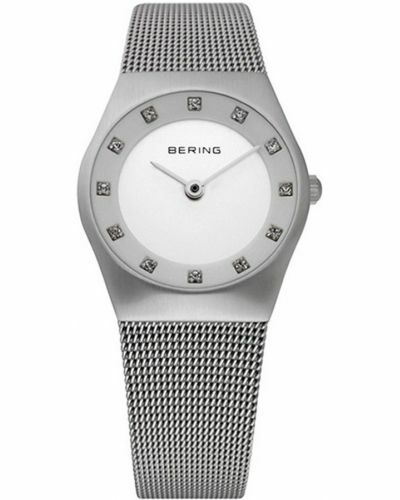 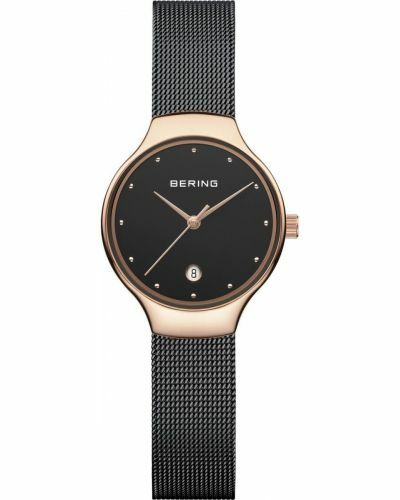 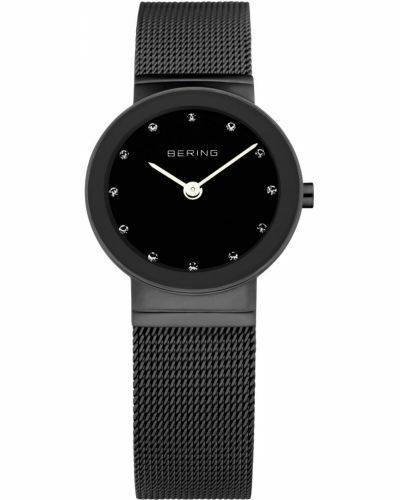 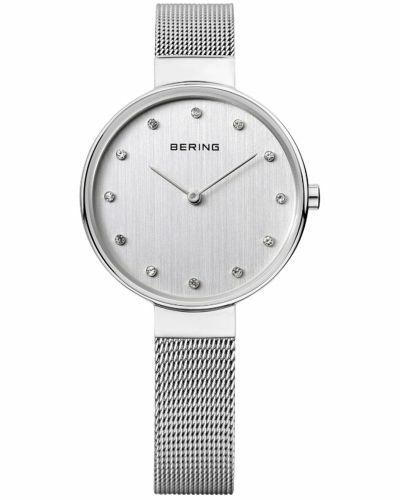 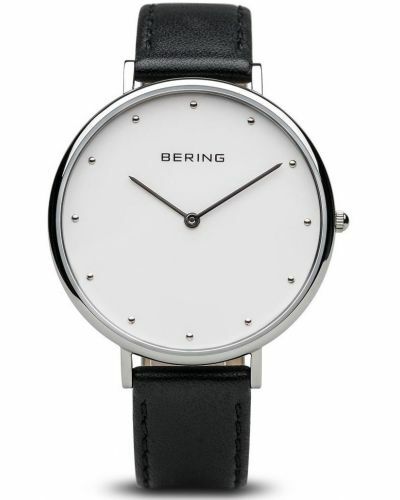 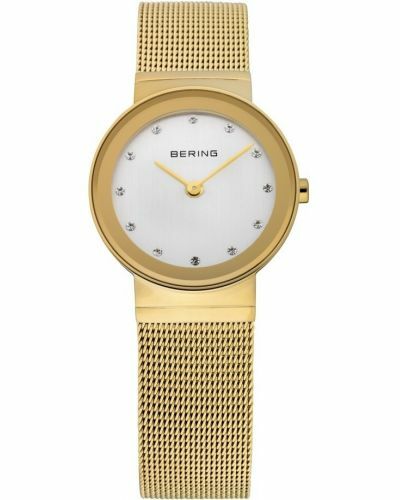 This all steel womens watch from Bering is a stunning piece to add to their classic collection. 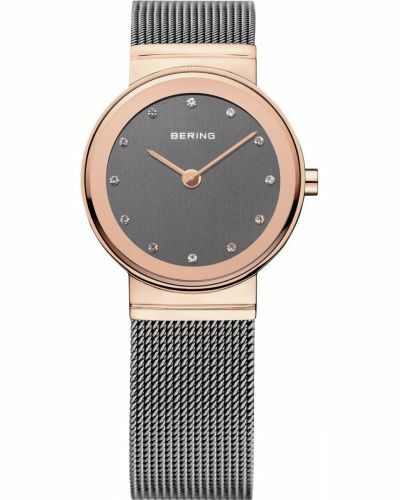 The bracelet is a stainless steel mesh with secure clasp that sits beautifully on the wrist. 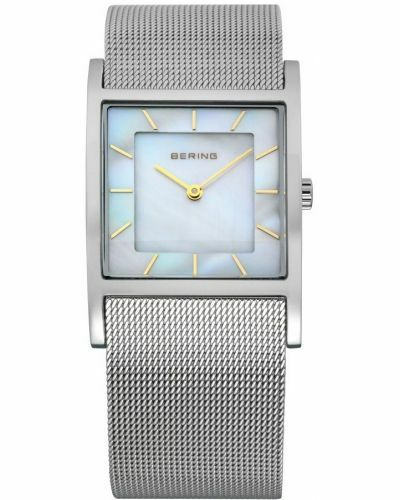 The dial is clear and easy to read with attractive mirrored bezel. 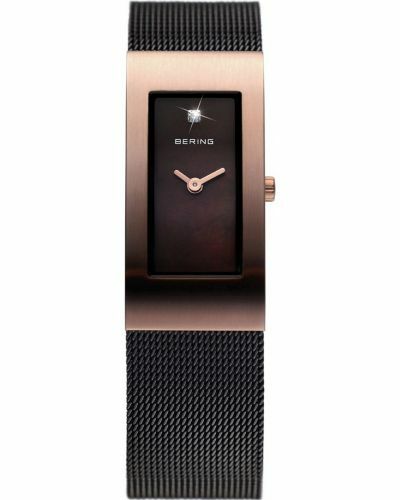 This watch is battery powered and comes with a 3 year guarantee.